Judging by the sell-out for the preview screening this title is the most eagerly awaited new release this year. Cult director Wes Anderson has produced a digital animation in colour and widescreen. The film is produced by his own Indian Paintbrush but also involving Studio Babelsberg, a partner in the earlier The Grand Budapest Hotel (2014). Babelsberg was once the site where Weimar cinema produced trailblazing special effects in the 1920s. Set in Japan, though with predominantly English dialogue, the film offers a pack of leading canine players voiced by well-known stars. Owners with cinephilic pets can enjoy a special dog-friendly screening on Saturday April 7th: repeated on April 14th. Later on the 7th a rather different canine representation can be seen in Samuel Fuller’s White Dog (1982). Wes Anderson has experience of both animation and star voicing in Fantastic Mr. Fox (2009). He also used the techniques in the underwater sequences in The Life Aquatic with Steve Zissou (2004). The plot revolves around a boy’s search for a lost dog. Youthful protagonists, along with dogs, have been seen in several Anderson titles, notably in my personal favourite Moonrise Kingdom (2012). This film also had one finest uses of an established composer [Benjamin Britten] so it will be interesting to see how Anderson and his team handle musical accompaniment. The film also seems likely to stray close to the style and themes of Japanese anime. Anderson is, like a number of contemporary film-makers, also a film buff. His American Express: My Life. My Card was a brilliant homage to François Truffaut’s own celebratory Day for Night (La nuit américaine 1973). And I think Anderson must have had some involvement in the ‘Isle of Dogs mobile phone warning trailer’ screening at Picturehouse venues. Let us hope audiences have seen the latter. What seems likely to be new thematically is an apocalyptic narrative. There is though the school drama in Rushmore (1998) which tends a little in that direction. What should be certain, noting Anderson’s existing output and the reviews of his new film, is that it will offer a very entertaining 100 minutes. PS The film is brilliantly done with excellent stop motion animation and CGI. The visual and aural quality on the DCP is fine. The canine characters speak English whilst the human characters speak Japanese with aural translation or sub-titles into English. The soundtrack includes music by ALexandre Desplat, Hayasaka Fumio and Sergei Prokofiev. The references and homages come thick and fast and it probably takes two viewings to catch them all. However, there are a number for Kurosawa Akira. 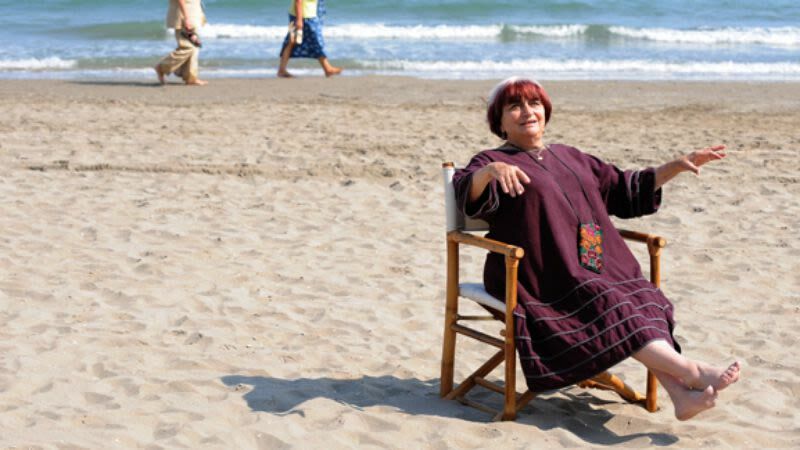 World Cinema lost one of it luminaries in October this year when the iconic career of this filmmaker came to an end. Wajda was one of the celebrated graduates of the Łódź Film School, This training ground for film actors as well as crafts people had a deservedly outstanding reputation. 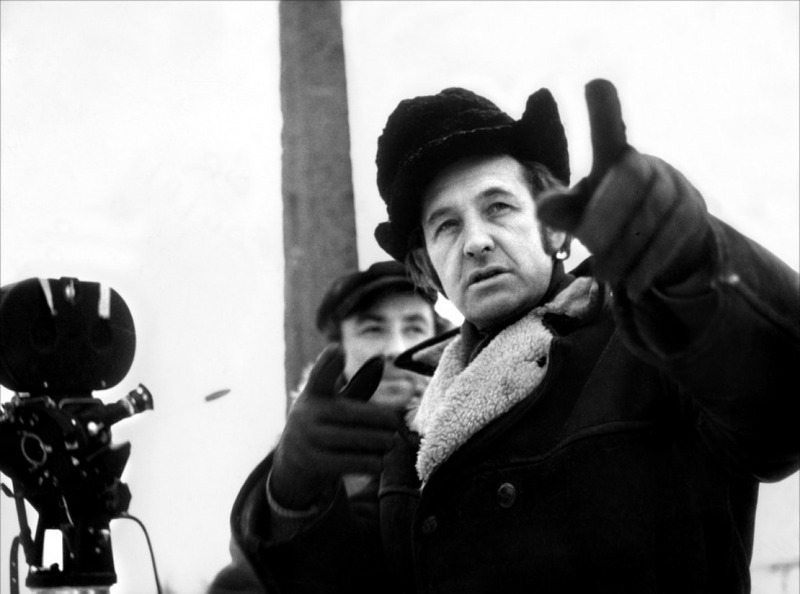 Wajda turned out fine films decade after decade, and I still have to see a number of them. One that stood out was Landscape After the Battle (Krajobraz po bitwie, 1970), a film that deals with a Holocaust survivor and which includes some stunning landscape sequences. Two films that stood out in addressing the repressive regime that ran Poland in the period are Man of Marble (Człowiek z marmuru, 1977) and Man of Iron (Człowiek z żelaza, 1981). I saw at least one of them at the Academy Cinema in London, a fine and now lost venue for quality film. More recently Katyń (2007), dealing with the Soviet massacre of Polish Officers in 1941, was extremely well done. And we can look forward to his final film Afterimage ( Powidoki, 2016), yet to enjoy a UK release. There are a variety of fine films that would grace a screening tribute to this great filmmaker. 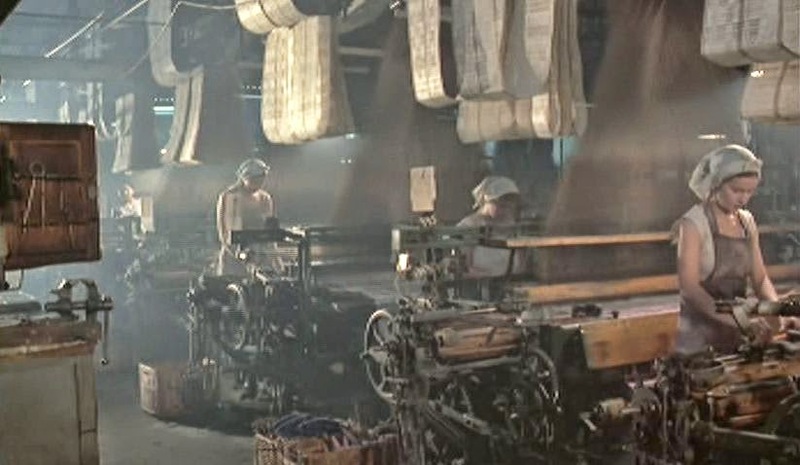 My own choice would be The Promised Land (Ziemia obiecana), 1975) which chronicles the development of the C19th capitalist textile firms in Łódź. The film is a fascinating chronicle and has some terrific sequences including a factory fire. The film came round last year in the programme ‘Martin Scorsese Presents: Masterpieces of Polish Cinema’. It was screened at the Sheffield Showroom in a good quality 35mm print. However, I do not think it made in to West Yorkshire. Hopefully the print is still available in the UK. Bob Dylan – poet, song-writer and occasional performer. So, as we celebrate the Nobel Literature Award can we look forward to hearing Dylan in the auditorium before the screenings. Perhaps ‘Like a Rolling Stone’ before American Honey (2016). But we could possibly also enjoy Dylan on film. 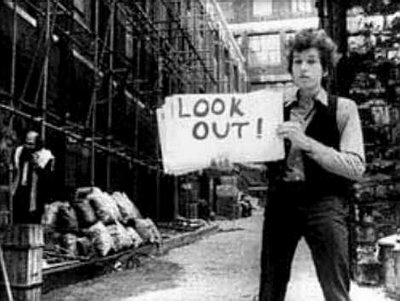 There is Don’t Look Back (1967), a classic music documentary of the 1966 UK tour: a genre that features in the 2016 LIFF. There is Martin Scorsese’s The Last Waltz (1978), another very fine documentary, this time of a single concert. There is Wonder Boys (2000), for which Dylan won an Academy Award for Best Song, ”Things Have Changed’. And then there is I’m Not There (2007) with several different Dylan’s, including an intriguing one by Cate Blanchett. My favourite Dylan moment on film is unlikely to be available in a print now: the sequence in the original release version of Pat Garrett and Billy the Kid (1973) where Dylan’s ‘Knocking on Heaven’s Door’ plays over the final moments of Sherriff Baker (Slim Pickens). A song that will [eventually] make a fine elegy for Dylan himself. Actress and screenwriter, Greta Gerwig is a busy woman! Last year, Gerwig showed up in not one, but two great UK releases. In Mia Hansen-Love’s Eden (2014), she had a scene stealing role as Julia, the former girlfriend of protagonist, Paul. Then later in the year, she co-wrote and starred in Mistress America (2015), a brilliant comedy about the developing friendship between stepsisters-to-be, Brooke and Tracy. This week, once again, Greta stars in two films; An extra screening of Rebecca Miller’s Screwball-esque comedy of remarriage, Maggie’s Plan, is on Thursday at 8:45pm. Then on Friday Hyde Park Picture House are starting their run of Todd Solondz’s new film Weiner-Dog, where Greta plays a reincarnation of Dawn Weiner, the iconic character from Solondz’s debut, Welcome to the Dollhouse (1995). After her early collaborations with filmmakers like the Duplass brothers, Joe Swanberg and Mary Bronstein, she decided the Dogme style aesthetic wasn’t for her (“shaky cameras make me sick. I get motion sickness when I look at them. There are some film-makers I love and yet I cannot watch their movies. I threw up during the first half of [Lars von Trier’s] Melancholia.”), and has since really come into her own as a screen presence. She is, in my opinion, responsible for two of Noah Baumbach’s better films, 2013’s Frances-Ha, and the aforementioned Mistress America, and is set to make her solo writing-directing debut next year with Lady Bird. I’m always intrigued about her upcoming projects. Keep them coming, Greta.